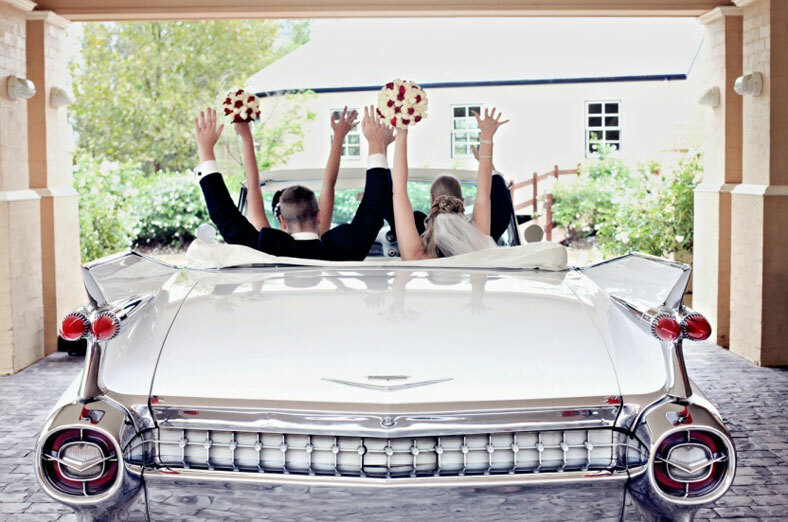 Don't settle for just any wedding car to tie the knot. 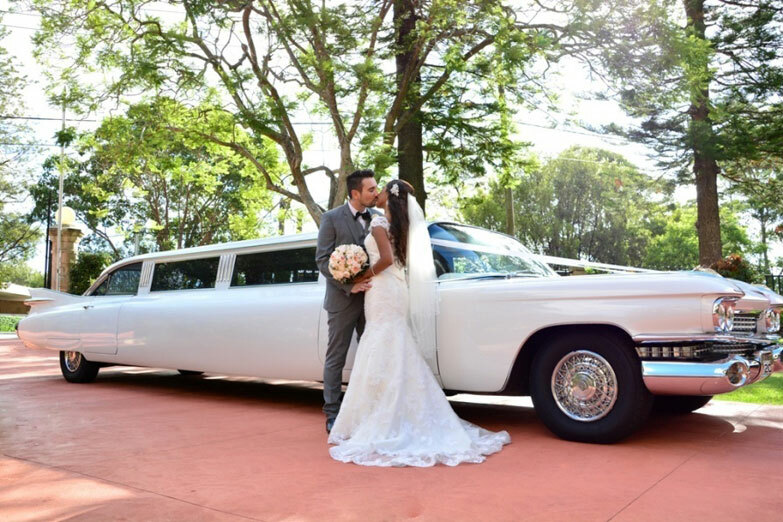 Choose a vehicle with a difference, your transport will be your guests first impression so make an entrance and arrive in comfort and style. 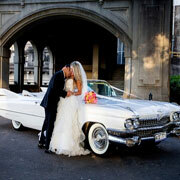 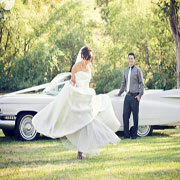 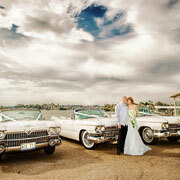 Our "59" Caddies are classics, making a great addition to your photos as a timeless backdrop to your memorable day. 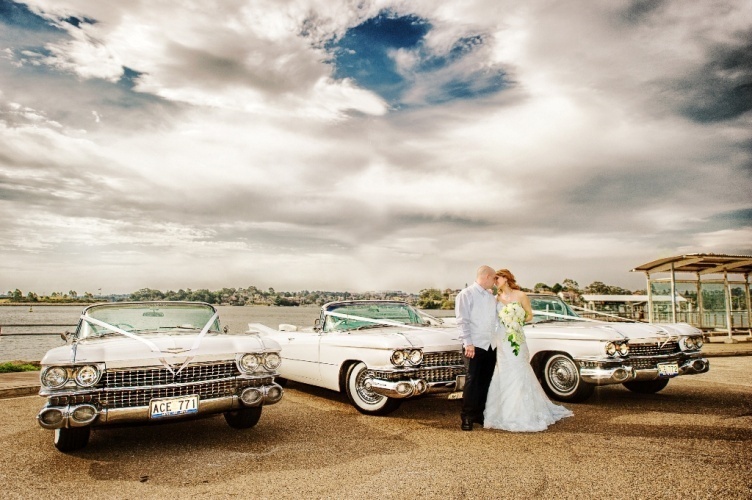 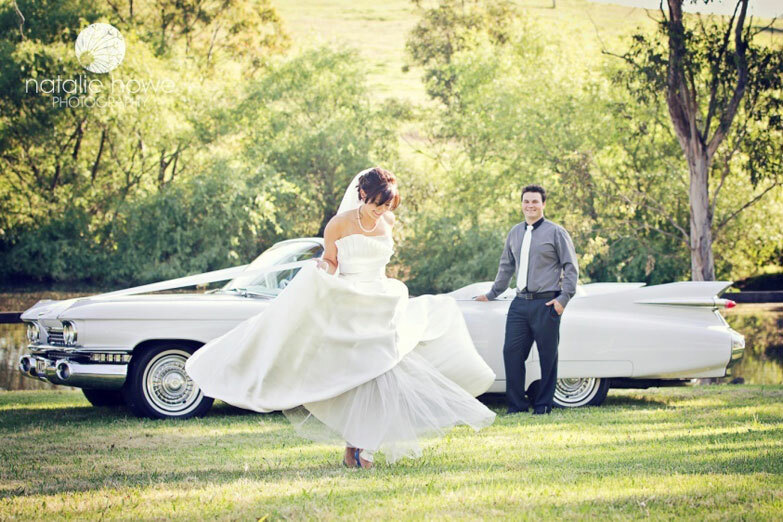 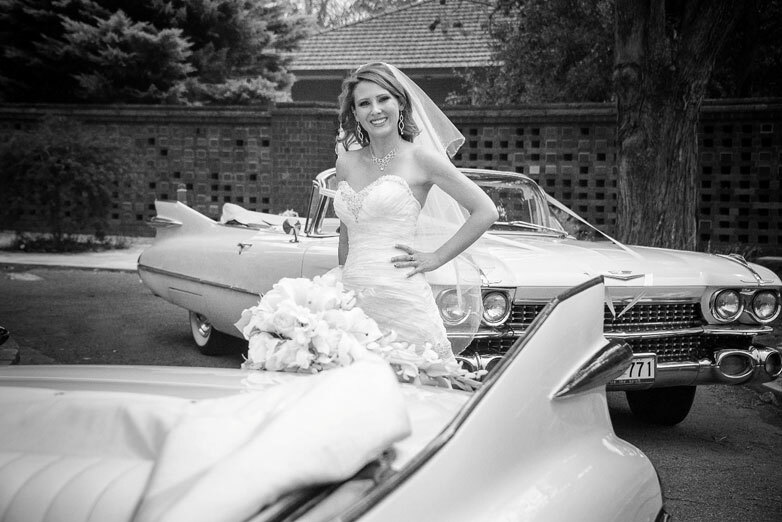 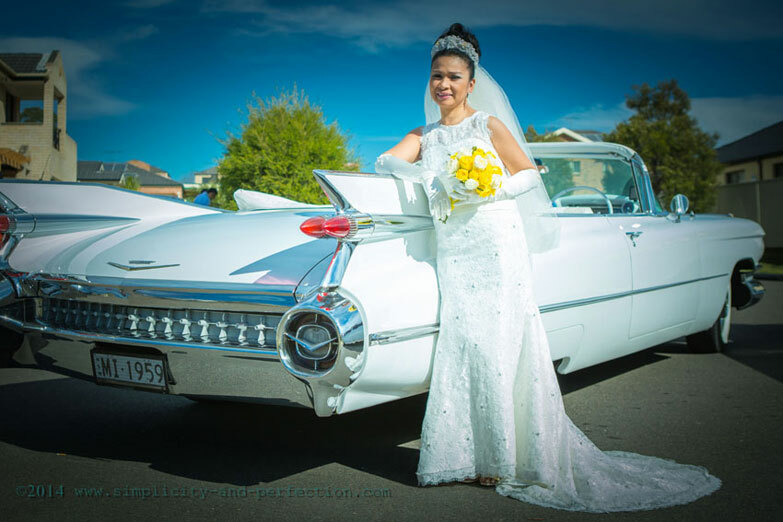 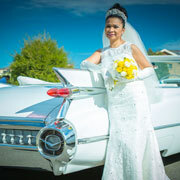 We mainly specialise in weddings from Friday to Sunday, however our classic cars are available any day of the week servicing all of Sydney suburbs and surrounding areas. 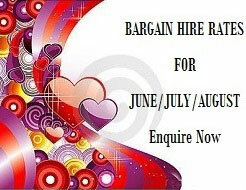 Most importantly we don't charge you from our home base. 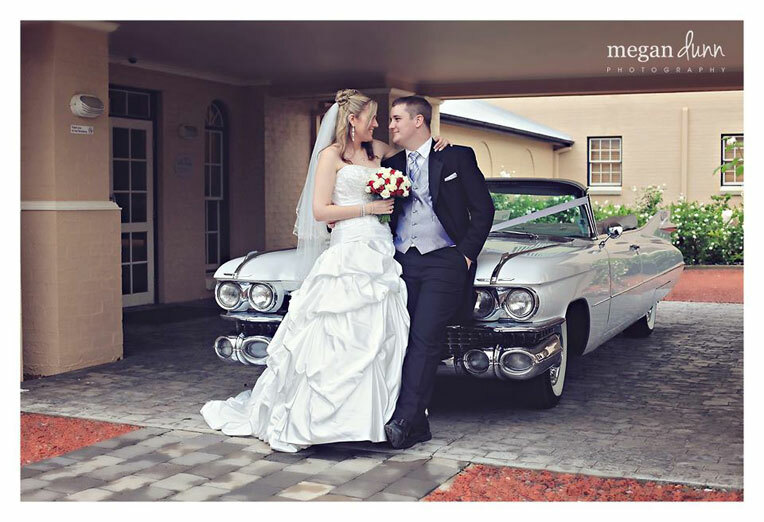 Travel in spacious interiors and experience a vintage affair. 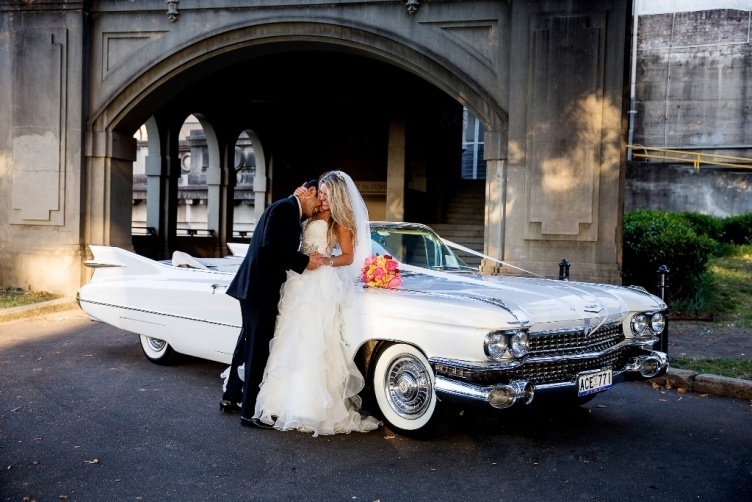 Hire a convertible, a matching fleet of Cadillacs, a limousine or combine both, without having to hire a motorcade of cars. 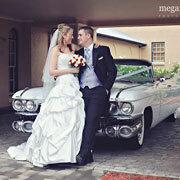 Most importantly keeping the cost down and not breaking the budget. 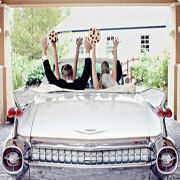 Champagne, soft drinks, appetizers and refreshments. 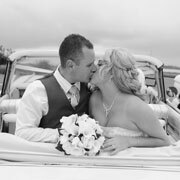 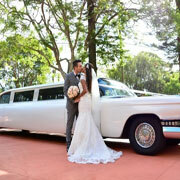 We welcome you to our showroom to view our entire fleet, it's a great way to sit down and discuss your special day. 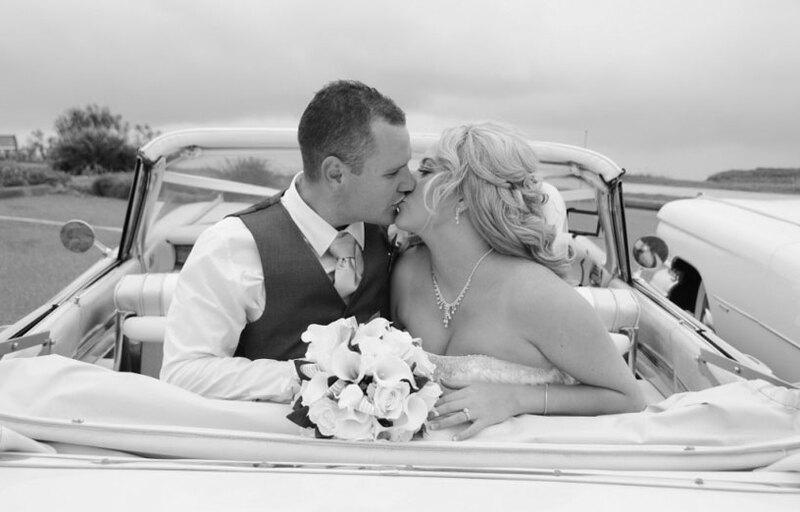 We can help you plan the day, making suggestions of local photoshoot locations, ensuring your day runs like clockwork and everyone is where they need to be. 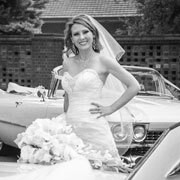 This helps to minimise unnecessary costs and remove the most often overwhelming experience of planning a wedding.